Research reveals that there can be a big gap between asking prices and the actual price achieved by homesellers. In this market, it is buyers who can call the shots. Rachel Colgan investigates what this means for those first experiencing the home-buying process. First time buyers coming to the market may be forgiven for not fully understanding the difference between asking prices and the actual sale price. Many of the statistics published today report continued increases in asking prices, too often failing to mention the actual prices that were achieved by the sale of that particular property. To put this into perspective, the typical average house price in the UK is £207,000, however, according to Rightmove, the average asking price in the UK is £281,000. This leads to an average disparity of £74,000 between what sellers think they should achieve for the sales of their home, and what they actually manage to achieve when they sell their property. Several different reports point out variances in the amount of homes that are achieving their asking prices. Mainly demonstrating geographical differences, with London asking higher prices than anywhere else, there will still always be individual cases whereby sellers want more for their property than what is considered to be the market value. Recent research by online estate agent eMoov.co.uk reveals a general trend that home sellers are being somewhat unrealistic in their asking prices. Through a survey of 2,000 sellers in England and Wales, it was revealed that more than a third (36%) of homebuyers would put their property on the market at a higher price than recommended by their selling agent. Not surprisingly, according to the survey, getting the highest price is a big motivator for a transaction, with 30% of sellers rating this as the most important factor when selling their home. However, as the statistics prove, achieving the asking price is not always possible and sellers are having to accept lower offers or, in many cases, they will be left unable to sell a property. These figures correspond with figures released by the National Association of Estate Agents (NAEA), earlier this year, that report that three quarters of homes failed to achieve their asking prices in January. NAEA member agents found that 73% of homes were sold for less than asking price in January, 17% more than the same period last year – when 56% of homes were sold for less than originally priced, suggesting that power is returning to the buyers’ hands and they’re in a better position to negotiate. This is good news for first time buyers looking to put in a lower price for a property, allowing them to be in a good position to shave some money off the purchase of their first home. The January rise reported by the group of agents may have been in response to the reforms to stamp duty, pushing some sellers to increase their asking price. Those selling their properties at around the £250,000 and £500,000 thresholds in particular were handed tax cuts, so they raised their prices. eMoov’s Property Hotspots Index highlighted that the property market, particularly in London, had cooled over the course of 2014. The previous high demand in many areas had led to house prices in England and Wales soaring, with many sellers looking to cash in as a result of a particularly buoyant market. However, the situation has changed and, as the market cools, those looking to sell are still hoping to achieve increasingly unrealistic prices. 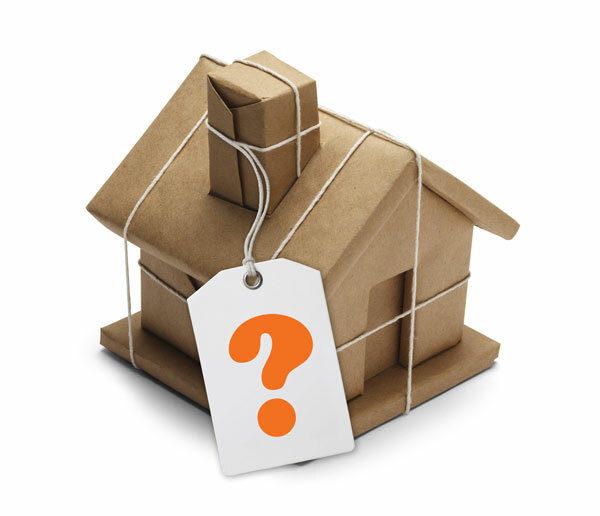 It’s not always the seller, however, who is responsible for the overpricing of a property. Sometimes, a high street agent will overvalue a property on purpose to win the business and get the seller on to their books. Motivated by making a percentage fee, they will then suggest the seller drops the price when the property fails to sell, as this drop will make a marginal difference to the profit they make. Founder and CEO of eMoov.co.uk Russell Quirk, said, “Unfortunately it’s a common practice in the high street sector. The agent is driven by a percentage fee, so they will overprice a property to try their luck, win the business and increase their profit margins. “Understandably the seller opts for the agent that claims they can get the highest price, as we are all motivated, to some extent, by money. Then, as regular as clockwork, the agent will ring them a few weeks down the line and ‘advise’ on a lower asking price in order to sell. Of course, figures will vary for different parts of the country, but first time buyers who feel that a property is over-priced should then be prepared to negotiate. If the seller is being stubborn and refuses to drop their price, the buyer may decide that the property is worth paying over the odds for, or, if not, they should be prepared to walk away. One sign that a property is overpriced might be that it has been on the market for some time, as the seller refuses to accept a lower offer. If they have time and finances to be able to hold out for the exact price that they are looking for, then there is always the possibility that this strategy will work. However, like most buyers who need to move – either to stop a chain collapsing, or personal commitments, such as a new job elsewhere – they may have to accept a more realistic and market value offer. The selling price is the price that the seller actually achieves for the sale of their property.